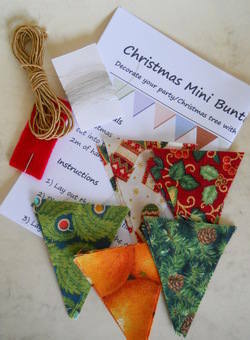 This Christmas Mini Bunting kit is now available in my shop! 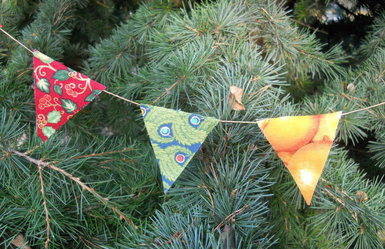 Hang this bunting up with your tinsel this festive season or even decorate your Christmas tree with it! The bunting is simple to make, you can glue it or sew it together. Each kit makes 2m of bunting and comes with everything you need including pre-cut bunting triangles in 5 different Christmas designs (3 triangles of each). If you are feeling adventurous, why not decorate your bunting with sequins, glitter or beads?